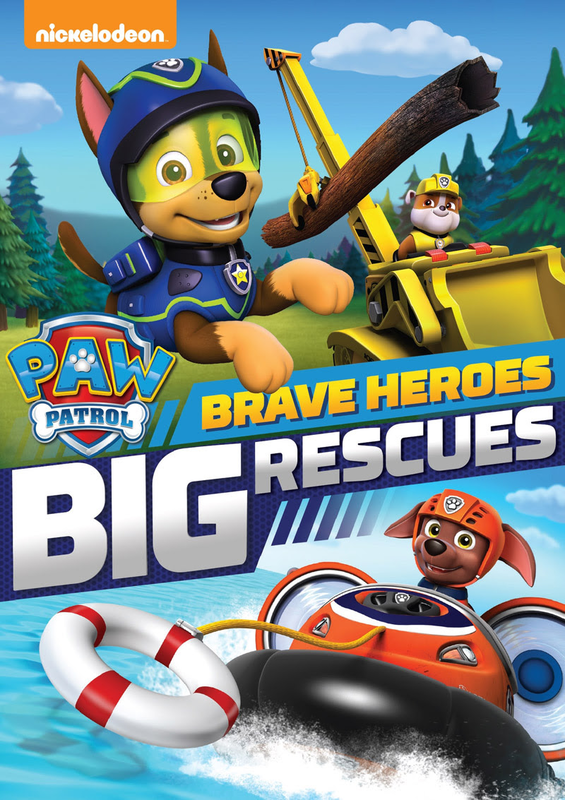 Paw Patrol to the rescue! Anytime you're in trouble, just call the Paw Patrol! That is what Cooper would like to do. 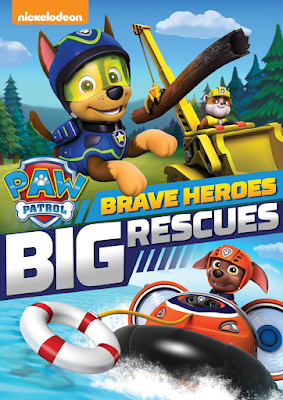 The new collection of episodes in Big Heroes, Big Rescues is out in stores today! You can find 6 episodes, each a little different from the next on this newly released collection. When I started the disk for the first time, Cooper asked me "Which episode is first, Mom?" I had no idea my 4 year old paid attention to those things, but apparently he does. He was happy to hear first up is Pups Save Jake. The other episodes you can find are Pups Save the Parade, Pups Save a Mer-Pup, Pups Save a Friend, Pups Save a Stowaway, and Pups Bark with Dinosaurs. While Mom's favorite episode in this collection is Pups Save a Friend, Cooper loves Pups Bark with Dinosaurs. Putting his love of the Paw Patrol and Dinosaurs together hit him in the right spot!